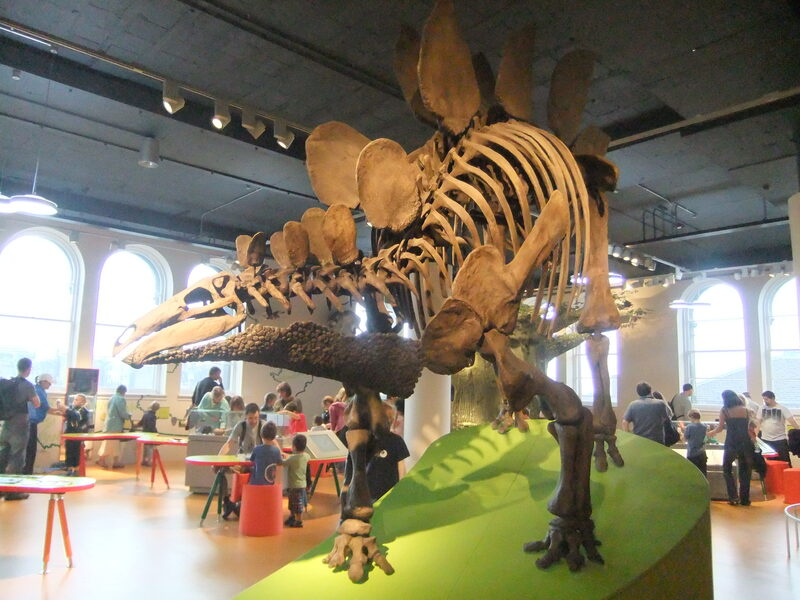 After the transformation of the National Museum of Scotland, with the addition of the Imagine and Adventure Planet interactive galleries, designed specifically for younger visitors, there was an opportunity to develop new activities that would extend the ethos of popular galleries into our public programmes. 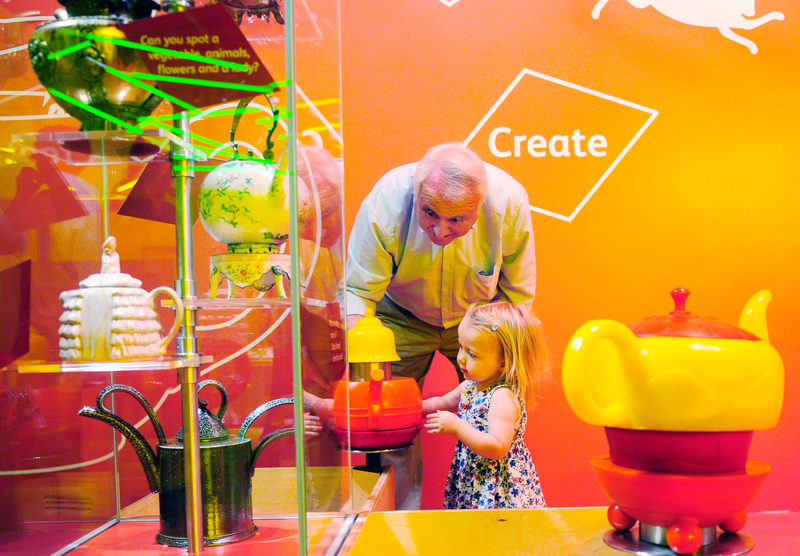 The aim was to create an engaging experience for little ones where they could explore the Museum further, and the idea of a magic carpet came alive. Captain Fiona Campbell tells a story. 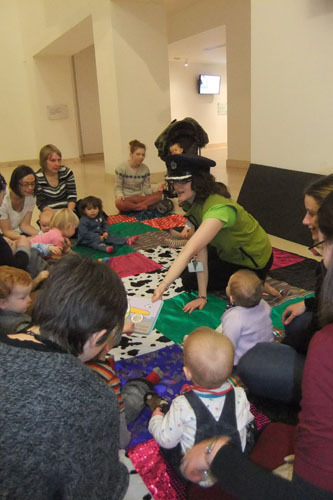 The Magic Carpet sessions introduce little ones to different things in the Museum. 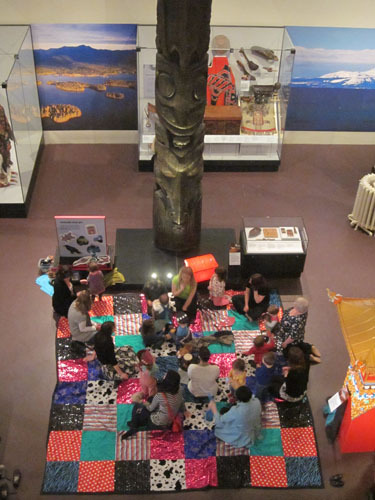 Each week the carpet and its little explorers visit somewhere new, with stories, singing, crafts and object handling. 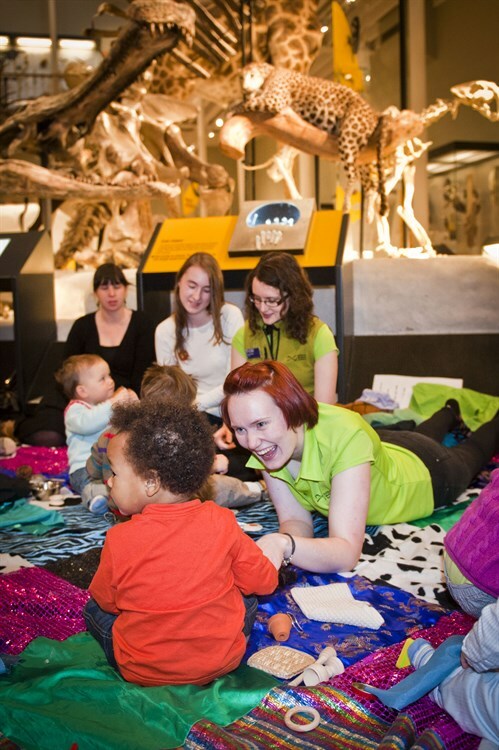 Our trips on the carpet include visiting the stars in the Earth in Space gallery to see all the animal constellations, exploring the jungle of the Animal World gallery where we’ve boogied with the animals, and going fishing in the Arctic winter in the Living Lands gallery. The magic carpet in the Living Lands gallery. The carpet has had special guest appearances too, including professional storyteller Mara Menzies. Mara runs her own company, Toto Tales, which brings African stories to life, and she took our magic carpet on an adventure through Africa, with Koko the crocodile. Another special guest was Cuddles the pygmy hedgehog, who was brought along by Visitor Services Assistant Laura Moss for a springtime special all about woodland animals, where the children explored the history of the forests in the Beginnings gallery. 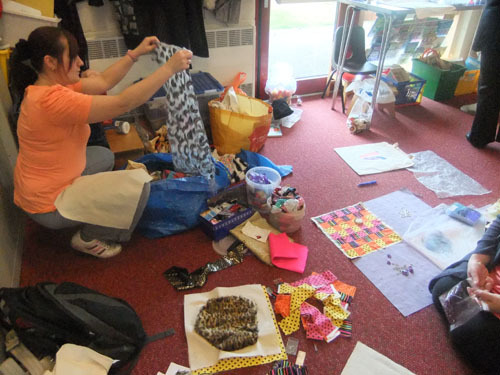 Enabler Anna Downie adds some sparkle at a craft session on the magic carpet. The magic carpet sometimes gets out and about, away from its home at Chambers Street. 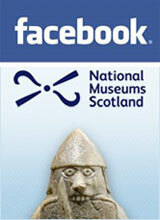 It recently flew to East Kilbride to the National Museum of Rural Life for some storytelling at the Classic Car show. For training, it visited Sanderson’s Wynd Primary in Tranent, where the P2 class went on a journey from Scotland through Europe, stopping off and handling objects from each country along the way, with the final destination being Spain, the class’s topic. They then performed a Flamenco dance inspired by their adventure on the carpet. It is also being used as inspiration for a community engagement project led by Community Engagement Officer Jane Miller. 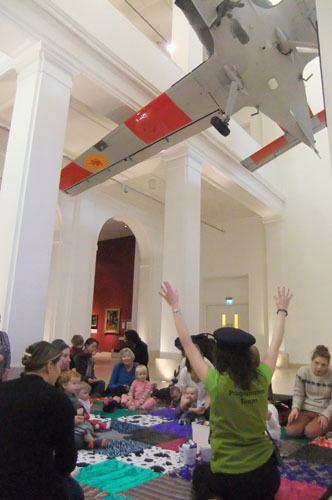 Three family learning groups, Gracemount, Broomhouse, and the Royal Mile, have all taken part in magic carpet sessions in the museum. They are now each creating a fabric square with their favourite object from the Museum on it, which will then be put together to make their own magic carpet. The nursery children and their parents have been working jointly on this project, enhancing learning together. The finished carpet will be complete with objects and a user book, full of songs and activities that can be used with the carpet. Groups will be able to borrow the carpet and resources for their own use. The adults and children have been really enjoying the process of making their own magic carpet. 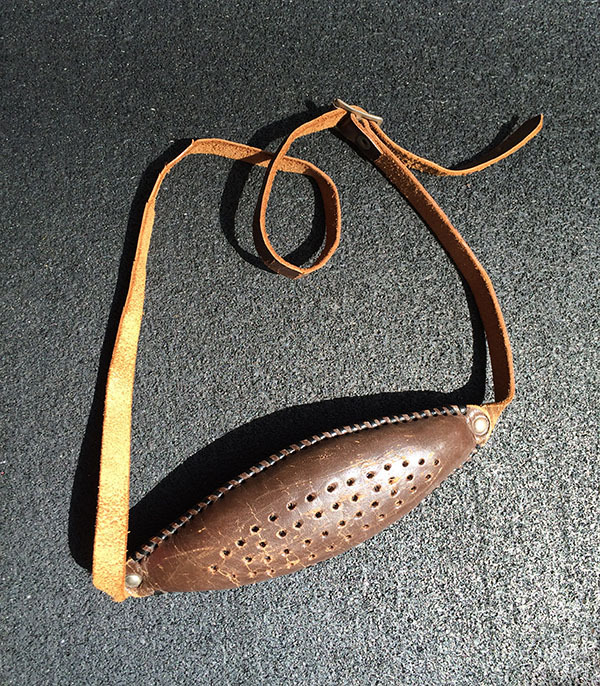 One mum says the only challenge has been that her wee boy was inspired by so many objects in the museum that she had to limit what he could have on his square, as it had to match with what she could actually sew! Making a magic carpet with the family learning groups. September will see the launch of Magic Carpet Minis. 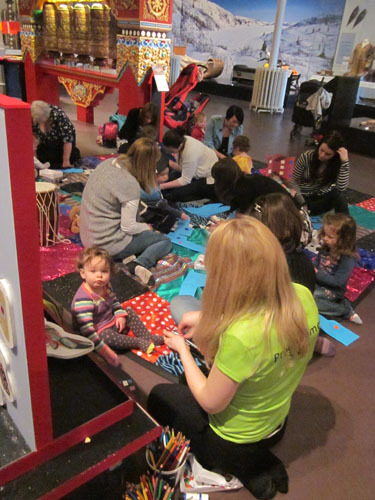 So far the Magic Carpet sessions have been piloted for little ones under the age of 5. After the summer, two different sessions will be run – one geared towards 2-5 year olds and one for 0-2 year olds. This means the activities will be more tailored for each age group and parents/guardians can decide which one they and their children will get the most from. So keep an eye out for new adventures on the magic carpet! Up up up as we go flying on the magic carpet!